My friends over at the Accountability Lab and the ONE campaign are hosting the Honesty Oscars. 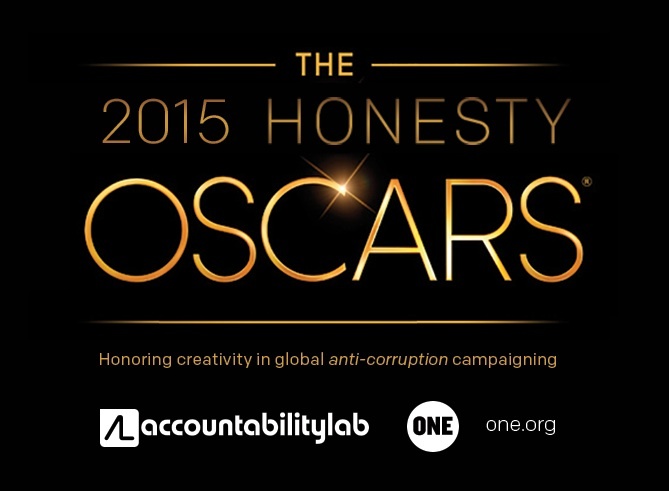 Every day in the week leading up to the Academy Awards, February 17th to 21st, ONE and Accountability Lab will unveil a category for the Honesty Oscars 2015, an award that honors not Hollywood films, but the creative work of activists and organizations that fight global corruption. Vote for your favorites, and they’ll announce the winners following the Oscars on Monday, February 23rd. We think it’s great that they’ve hijacked the Oscars in the friendliest and most humanitarian way possible by shining the spotlight on the people and projects that rarely get it. Please go cast your vote here and consider yourselves a member of the Honesty Oscars Academy!